Although the chemical isn’t a necessary ingredient, it functions as a plasticizer in nail polish to increase its flexibility and durability. 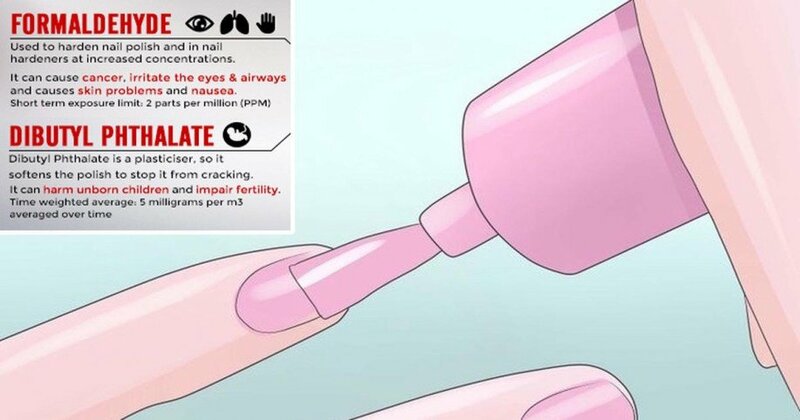 After the initial study, the same group of researchers examined 10 different nail polishes for triphenyl phosphate, and discovered the chemical in 8 of the samples tested. Two of the polishes that tested positively for the chemical did not disclose it on their product label. These brands were easily available in drug stores and beauty shops throughout North America. 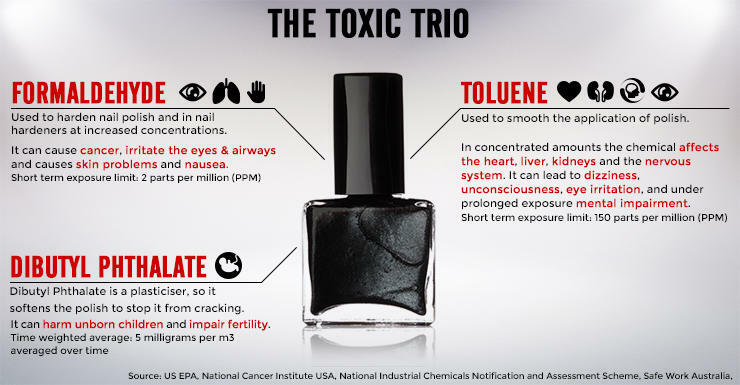 Here are just a few chemicals routinely found in nail polish and other nail products (3). Formaldehyde is a well-known carcinogen that can cause respiratory distress if inhaled. Symptoms of exposure include coughing, asthma, and an itchy throat. Asthmatic or people with other respiratory conditions should avoid exposure to formaldehyde when possible (4).